The mobile touch computer TC52-HC was developed by Zebra for the special requirements of the healthcare sector. It looks like a smartphone and has easy-to-disinfect housing. With the TC52-HC, data may be transmitted up to twice as fast, thanks to Bluetooth 5.0 - within a radius of up to 240 m. Connectivity via the latest WLAN technology also works like a dream. The Android 8.1 Oreo operating system, combined with a fast 2.2 GHz Qualcomm Octa-Core processor, 4 GB RAM and 32 GB memory provide excellent performance. The TC52-HC may be integrated into existing systems and is backwards compatible with the accessories of the predecessor models. 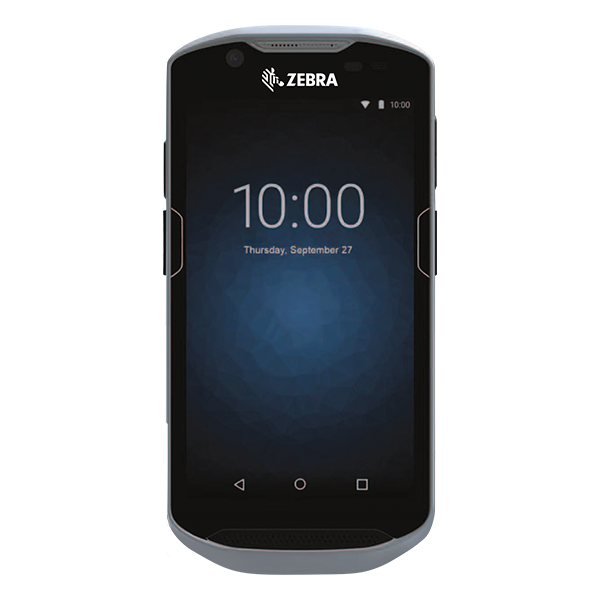 It is very robust, is certified according to IP65 and MIL-STD-810G standards and is impact-resistant from from 1.2 m. Zebra will provide >>LifeGuard<< support for the upcoming Android versions P and Q - as well as 8 to 10+ years support for security updates. Order the Zebra TC52-HC with your sales representative. Give us a call today!